The most powerful, fuel efficient and cleanest combustion outboard is now available from 150 HP to 200 HP. With hundreds of color combinations to choose from, stand out in look, design, and performance. 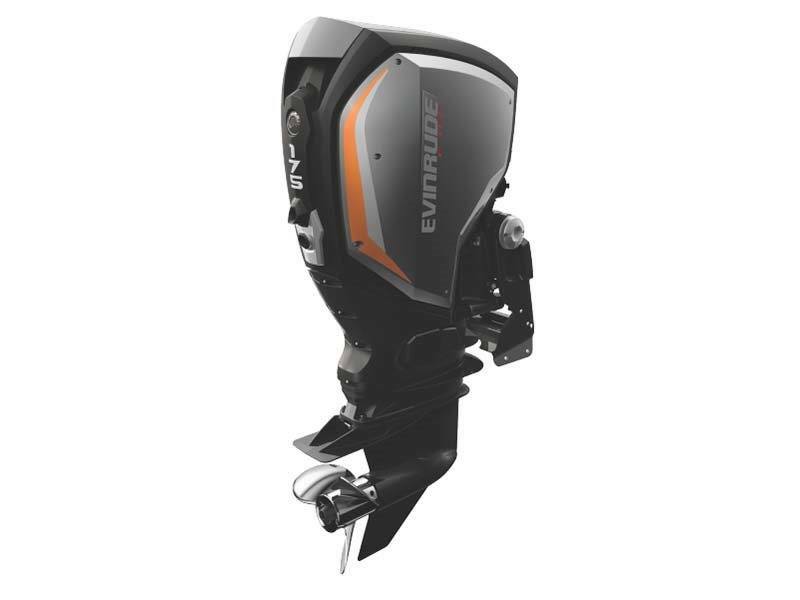 POWERFUL PERFORMANCE: The Evinrude E-TEC G2 delivers 20% more torque to jump on plane or power over big swells. I-TRIM: The breakthrough i-Trim system automatically trims your engine, allowing even a novice driver to trim their boat like a pro. SLX GEAR CASE: A sleek, hydrodynamic design reduces steering effort and produces less drag without sacrificing speed and acceleration. LIFETIME CONFIDENCE: Designed, built and tested to take a beating and get back up again because we know an outboard engine has to be at its best. In addition to the extreme durability, the engine comes with the industry’s best warranty and maintenance schedule to give you the ultimate peace-of-mind.